Bulat Idrisov, MS’14, says he’s an outlier in Russia. The assistant professor of infectious diseases at Bashkir State Medical University in Ufa is also the founder of behavioral health intervention digital startup Panacea.Cloud. He’s equipped with an unusual set of skills and a global outlook that makes him stand out from other health professionals in his home country. That’s thanks in part to his Heller degree in global health policy and management, he says. Idrisov first came to the United States during his second year of medical school. He volunteered at a hospital in Charleston, South Carolina. He came to Heller as a Fulbright Scholar after graduating from medical school and took full advantage of the resources on campus and beyond. He worked with faculty members Mary Jo Larson, Connie Horgan and MS Program Director Diana Bowser to design a new class on mental health. 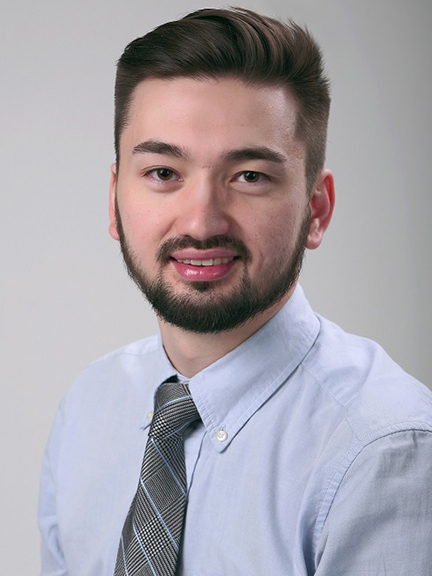 He published an analysis, “Cost Effectiveness of Methadone Therapy,” with his classmates, mentored by Donald Shepard. Idrisov also started two long-term collaborations: One with Global Burden of Disease study, and another with a team at the Boston Medical Center (BMC) on food insecurity among people who are HIV-positive and use drugs. He continued his BMC work through a National Institute on Drug Abuse INVEST Fellowship for nearly two years before returning to Russia. Today, he maintains those global connections as he focuses his work on behavioral and digital health.